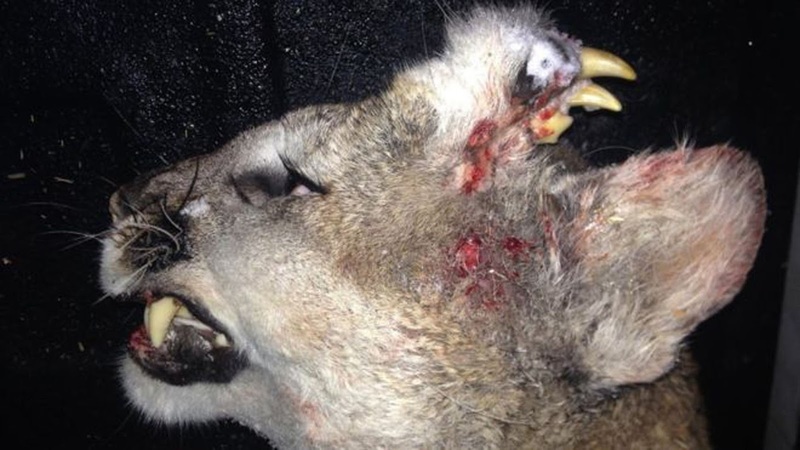 This Mountain Lion Has Teeth Growing Out Of His Head, Strange! There have been so many bizarre reports about animals recently, but this one is going to shock you for sure. In the state of Idaho, USA, the officials claim that there is a mountain lion that has a full set of teeth growing from his head. They have managed to share some pictures to make people believe that this news isn't a hoax and it's definitely true! The lion was shot dead by a hunter on 30th December, 2015. After that, his remains were brought to the Idaho Department of Fish and Game that lead to the entire investigation. They believe that these teeth are remnants of a conjoined twin that was killed inside the womb or some bone growing tumor. But, it's definitely a rare deformation. The hunter killed this rare lion because it had attacked his dog. But as the law suggests, an officer came to the premises to check the body of the lion. The mountain lion is a breed of large cats. They rarely come in contact with humans and usually feed on deer or turkeys found in the forest. If a human or another animal comes into their territory of the wilderness, that's when they can get violent.